Professionalism, only one point carried by the company itself, but also carried by the customers it serves. Emerging and capturing the era of economic stability, protection, lack of circulation at the same time to adapt to variability. Ayaz leading company in the industry that best express the collective business solutions, quality service approach has adopted the vision, corporate identity and transition to a new process is intended to go to the fore. 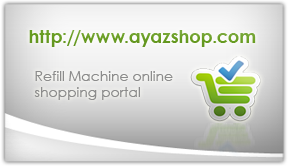 While in the work to provide you with better solutions Ayaz our website and we offer a new face. Easy access to our Web site and the promotion of our companies can provide you with a new identity, to prepare a content, we continue to move to higher levels çıtamızı emerging era. E-mail list to be informed about the campaign and renovations Register.